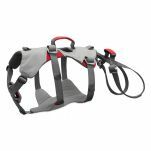 Safety harness are great for adventuresome dogs who climb beyond normal canine bounds. 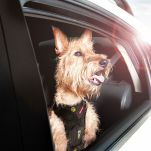 Whether you need a harness for sport or for assisting with your dog's mobility, Ruff Wear's DoubleBack Harness makes lifting your dog more comfortable for both you and your fabulous furry mate. 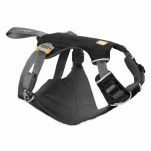 The DoubleBack provides full underside support from the front legs to the back legs.